What Does Depression do to The Brain? I used to think depression was something that people could easily snap themselves out of. By finding activities to do, making more friends and just being a more social person in general, I thought it’d be nothing too hard to get over. However, after taking interest in things like loneliness and anxiety disorders and doing some research I’ve found that depression is not just a state of feeling, but a mental state as well. Depressed people have problems bigger than not being happy with their lives. How does the mood disorder manage this? 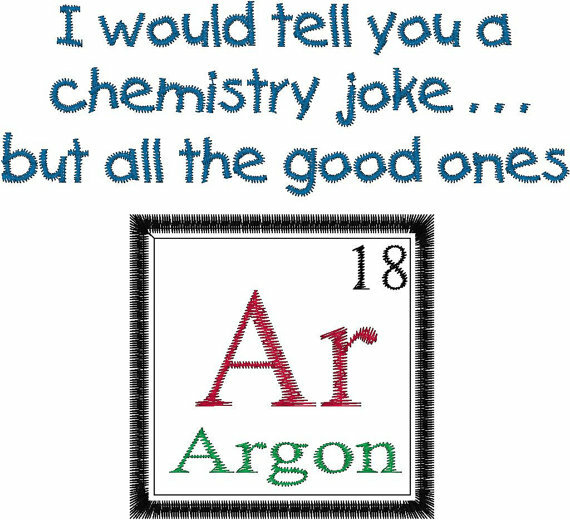 Well, when one is depressed, which can be triggered by plenty of events such as mental problems, chemical regulations in the brain and stressful life events, they suffer from poor chemical reaction in their brain. The reactions influence the perceptions and experiences. These chemicals, working in the nerve cells, make it possible for you to understand and take in these experiences, but when depressed the balance is thrown off. Some chemical such as serotonin, norepinephrine and dopamine are involved in the imbalances that take place in the brain and they are called monoamines. A study done by Dr. Jeffrey Meyer at the Canadian-based Centre for Addiction and Mental Health would suggest there is a certain chemical in the brain that cause the imbalance of others. He found that something called monoamine oxidase A was capable of affecting the chemicals mentioned previously. In people with depression monoamine oxidase A was up to 34% higher. In short, depression actively affects the brains ability to control feelings and perceptions. These imbalances can result in a number of negative feelings that could be detrimental. Depressed people experience things like fatigue or loss of energy frequently, feelings of worthlessness often and diminished interest in experiences they once found pleasure in. I found a video online that did a great job of explaining it in a simple, understandable way! This entry was posted in Uncategorized on December 5, 2014 by Kelli Nicole Ross. The average dictionary would define loneliness as “being without companions; solitariness; sadness because one has no friends or company” to put it simply. It seems like it isn’t a dangerous thing, after all it is just the act of being alone, right? Well, some studies would suggest that loneliness can be toxic for the well being of a person, affecting their life negatively and even their lifespan in some cases it would seem. Before I read up on the affects of loneliness, I decided to figure out what it truly was. For a person, loneliness has to be more than being without company. Even with company, one can feel lonely and isolated. I thought that for one to feel lonely they had to missing certain experiences that they wanted. I remember clearly finding a writing one day that talked about people having certain needs to be met in their socialization for it to actually fulfill their need for socialization. I found an article that talked about that exact idea and it confirms for me that people indeed have requirement for their socialization. In says “loneliness reflects the relationship between two factors, the desired and achieved level of social interaction.” In short, perhaps it is true that people have their own expectations and desires for socialization that should be met to actually satisfy them. I then proceeded to find out what would actually happen to a person who was unable to meet their social needs. Science has shown that socialization is just as important as anything else to the human life. Because people are social creatures and not meeting those needs results in the feeling of loneliness. When one is lonely, their health is at risk, though the consequences don’t usually show until the person is a bit older. According to researchers like Louise Hawkley and Christopher Masi, there is a direct correlation between loneliness and high blood pressure. Heart disease is therefore a risk. By raising levels of the stress hormones in blood, blood flow in arteries are subject to turbulence. Strokes and Kidney problems are also possible. 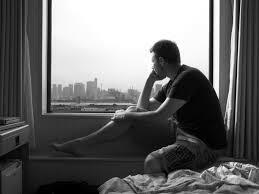 Psychologist John Cacioppo, suggests that loneliness even affect the efficiency of sleep, leaving lonely people with less sleep and feeling less restored after sleep. These negative aspect accumulate as you age until eventually they do affect you, mentally and physically. In children especially, it can ultimately affect the way they grow up, developing anti-social behavior and even school drop out rates. When they experience being excluded or miss opportunities to bond with peers they often aren’t able to build relationships well or have weak relationships with people. Aspects such as being or having anxiety even can harm their experiences. Leaving them to perhaps even suffer the affects previously mentioned for people who deal with loneliness as they age. Era of the Bee Genocide? It’s no secret that Bees are the most important insect to nature as we know it, but did you know that Bees have been dying in massive amounts over the last few decades and it’s getting worse! Bees are perhaps the most Important aspect of our natural environment and without them the world would proceed to lose about 80% of planet’s resources. Our plant supplies would slowly diminish and eventually fruits and vegetables would follow without the Bees needed to pollinate them! Most insects and animals help pollination, but for the most part it is the Bee that keeps the environment pollinated and healthy. The process of pollination is carried out when the male pollen grains are transferred to the stigmas of female flowers. 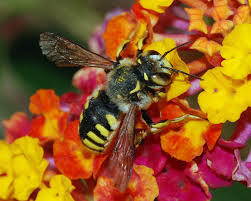 This typically happens when the pollen produced is collected by Bees, who go to the flowers for food, or it falls off the body of a Bee or any other animal, spreading among the flowers and fertilizing them so that fruits and vegetables proceed to grow. Bees having the highest rate because of their bodies being most successful in carrying the pollen around. Flying from flower to flower, Bees are able to easily pollinate with the pollen coming from their bodies and their search for food. 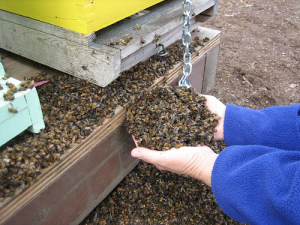 However, the process of pollination is in danger due the growing loss of Bees by the million. Many don’t know of the problem just yet, but it exist and it’s only getting worse. While extreme weather and pollution in some cases may be the problem, the biggest killers are suspected to be pesticides called neonicotinoids and phenylpyrazoles. These chemicals attack the nervious system of the bee and prevent them from effective pollination. In travelling back to the hive, they affect the other bees and virtually destroy the colony. Farmers using this pesticide may have been responsible for the death of 37 million Bees that died in Canada last year. Even products you may use on your own land may be responsible for the death of bees! Ant killers often contain these pesticides. At this point, the Bee population has declined about 30% in the United States, with some Bee keeps recording up to 90% loss of their colonies. Other countries are seeing the same affects, especially Europe, who also recently recorded their largest Bee loss. President Obama has proposed a incentive to farmers who decide against using such pesticides, but only time will tell if that works and there are still some farmers using them. Without Bees, pollination would decease drastically and eventually our environment would die out. And so it’s left to the Farmers and the departments who regulates them to decide whether saving money on lost produce every year is worth our environment’s most precious helper. This entry was posted in Uncategorized on December 4, 2014 by Kelli Nicole Ross. Just how deep does advertisement go? Advertisements are everywhere in our daily lives. We see billboards, tv commercials, promotion signs, songs etc. They are so routine to us that we don’t even realize just how effective companies have been in conditioning us into wanting what they provide, knowing them for these certain products and feeling certain ways because of them. 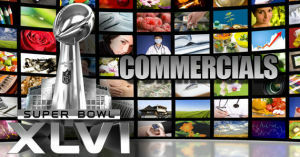 Modern advertisement is an industry far more powerful than one may think. They engage in deceptive subliminal advertising, which most us are unaware of. You may think you’re in total control, but whether you realize it or not, companies have found way to appeal to and manipulate our subconscious minds for their personal gain. People don’t like to think they are easy persuaded and obedient and so you may find some people who think that advertising has no affect on them. What they seem to be misunderstanding is that companies aren’t out to make you immediately stop what you are doing to go invest in whatever it is they are selling. Companies are looking to leave a memory of their product with you. Though it may not be immediately, they are looking to influence you in the long run about the brands you invest in, ultimately hoping that when you need anything, their store or brand is what you’ll go to. In the United States 70 billion dollars is spent on advertisement alone. Can you recognize a brand simply by looking as a sign? or hearing a tune? How about a catch phase? “Just do it?” “Have it your way?” Surely you can tell what companies these are just by hearing the sayings. You can most likely even tell which companies are presented in the picture below. The idea of things such as logos and jingles are simply to familiarize you with a brand. Today, the average person sees up to 5,000 ads a day and surely not all of them go ignored, but to ensure their success, companies take a number of steps. They look to make their ads interesting, memorable and catchy. Creating interesting slogans that will engage their target markets and spread the word of their brand. Also, going for the seemingly innocent vibe so that potential customers don’t initially notice the manipulative nature of trying to sell a product. Take the Super Bowl for example! It’s the most watched event in the year, averaging over 90 million viewers, and the exposure makes it worth the money for some companies. They spend millions trying to make a commercial that will succeed in attracting peoples’ interest. There are plenty of others ways a brand may try to appeal to potential customers, ways we don’t initially notice. They’ll often try to surround their product with things people generally like and enjoy to promote positive feelings for what they are advertising. Other times they’ll use the method of compare and contrast (refraining from listing all of their own downfalls btw) to present it as better. Even associate celebrities with their products to build the illusion of it being popular or chic in some way. In conclusion, advertising is a business far more complex than some may realize. So much work and billions of dollars go into making sure people can simply remember their brand. So, before you claim you’re not influenced by advertising like other people, remember that even you can recognize a few logos and sing a few jingles! This entry was posted in Uncategorized on December 2, 2014 by Kelli Nicole Ross. Last week, as our break began, I realized I had a week to get tons a stuff done. To relax at home and just get some stuff out of the way. Turns out, I did anything but what all I wanted to accomplish. Sure, I got some readings done for a class and tried to catch on on some studying, but I failed to do other things that I really could have crossed off my list for good, especially with finals coming up. Before I knew it, it was Sunday and I was on my way back to happy valley and feeling like I’d wasted time. This isn’t a first time I’ve felt this way however, procrastination is not stranger to me. Still, I question why I can’t just change myself and have a better work ethic over night, even after I plan to do things and make note of them. 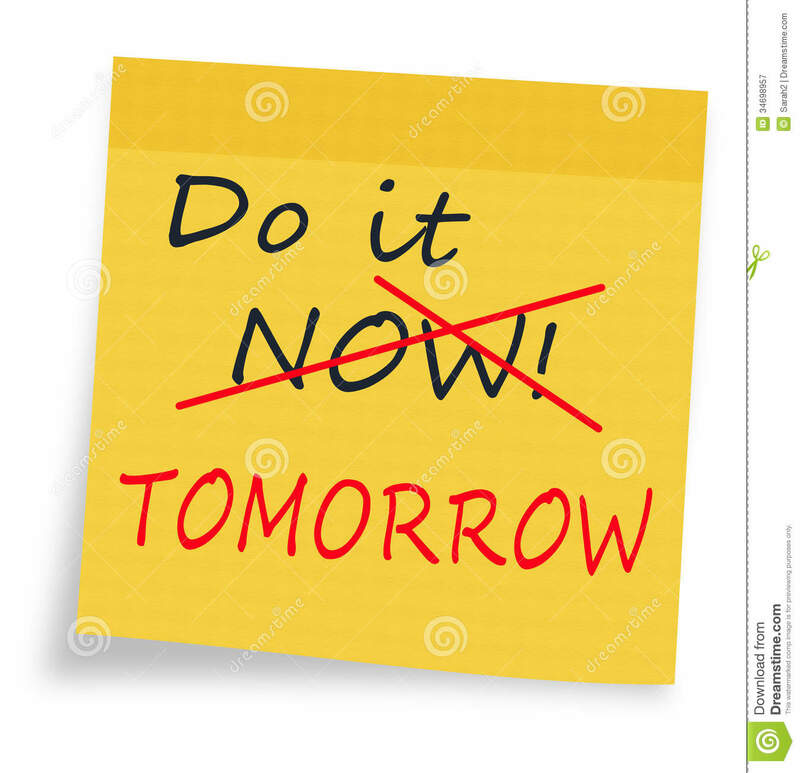 Procrastination is than just laziness!…or is it? I found, in my research, that procrastination has a number of worthy excuses. Of course, there aren’t too many excuses that would hold up in class and allow you to actually be excused for assignments. However, these excuses are real for some procrastinators. They don’t put things off simply because they don’t want them done! Some people may be poor at regulating themselves and so they often aren’t able to internalize their intentions and act on them, others put things off for fear of failure, and some just may not like their classes or the work assigned and so they avoid it until necessary. 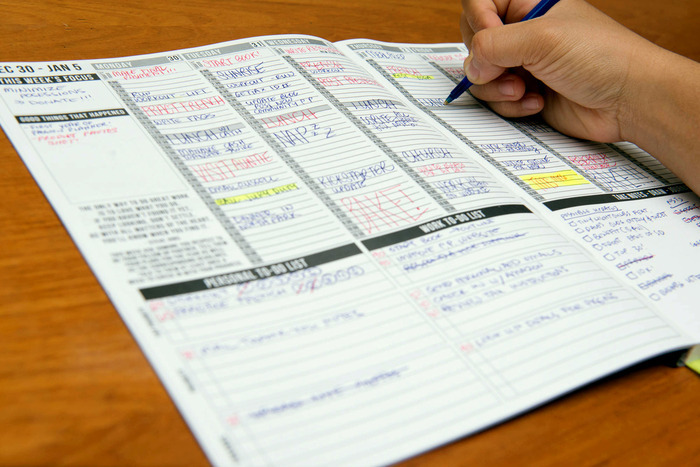 So, what makes one a true procrastinator or just a kid with poor time management skills? I honestly, may be the latter, and although there is no clear answer to this as of yet, there are some possible causes out there that may have more credibility than those previously mentioned. Things such as mental disorders could be possible cause of procrastination. In terms of Depression, it’s no surprise that it may cause procrastination. When a person is depressed they often experience an extreme form of sadness that leaves them hopeless and unable to see anyway to make things better. Depression doesn’t cause procrastination, but it can make it far worse. A depressed person is even less likely to see anything they do as able to make difference in their lives. However, considering that statistically depression is no where near as many people who experience procrastination, there have to be other reasons. Another is a thing referred to as Irrational Beliefs. People who suffer this often suffer from simple not feeling good enough. In their minds they don’t measure up to what they think they should be, they have unrealistic views of the world that aren’t realistic and react to the world in ways optimistic and/or pessimistic ways that don’t enhance them emotionally. The people who suffer this mentally virtually allow these things to get in the way of their own happiness and motivation. They procrastinate due to anxiety and fear of failure. Here, it’s said that this problem could essentially stem from low self-confidence. 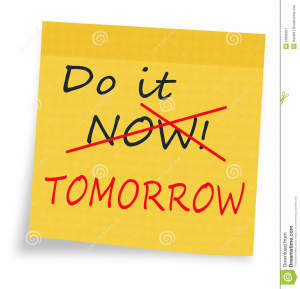 Procrastination for people with ADHD/ADD is just as bad if not worse! People with these disorders are often easily distracted, impulsive and disorganized. These people have difficulty staying focused, controlling their behavior and paying attention. Therefore, doing work and keeping focused on completing that work is a task hard to manage for them. This link talks all about the problem. Although I set out to find out why I was procrastinating so much, I found that there may be no real underlying reason, at least not one that couldn’t be combated with few changing habits. I definitely don’t have any of the disorders mentioned above, so if you’re like me, we all may just have sucky time management skills. Sorry, we’re not special snow flakes and all we really need is to do invest in planners. This entry was posted in Uncategorized on December 1, 2014 by Kelli Nicole Ross. Is Being A Vegan Really That Unhealthy? On some day in June of 2013, I happened to be on tumblr at around 3 in the morning. I was interested in a debate one of my followers seemed to be having. Someone had referred to being vegan as “unnatural” and being a vegan, he just had to respond. 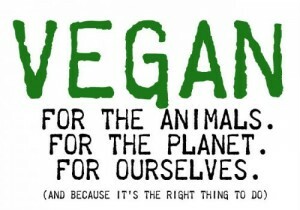 Up until this point in my life, I had no idea what a vegan was, I thought not eating meat was a vegetarian’s things. I learned that night (or morning rather), that vegans were, if anything, the real deal. Not only do they avoid meat products, they avoid all products that have anything to do with the death of a living animal. No clothing made at the expense of an animals life and especially no food. But what was interesting about this debate was that this guy, like so many others apparently, thought that humans needed meat to survive. Humans are omnivores, making us able to eat both plant and meat products, but do we need to eat both to live long, healthy lives? These people would get so defensive about their love of eating hamburgers that they would downright dehumanize these people for choosing to be vegan. Of course, there debate was essentially a argument about eating and not eating animals and having the right to choose either way, but It seeing as this was drawing so much hate and debate, I had to find out what it was all about. It started with know what being Vegan even meant. I did some reseach and eventually learned that many people are under the impression that being vegan is unhealthy and that you have virtually no intake of certain nutrition that they need, but their assumptions are often blind and have no real scientific knowledge behind them. Not because those people are wrong per se, but because they just don’t know much about the vegan diet when they make these claims. It is true that in choosing to be vegan you lose a number of nutrients found in meat and dairy, but a successful vegan diet is simply about making the right substitutions for those products you would otherwise be missing. In fact, being vegan can be a healthy choice or a extremely healthy one, it just depends on the choices one makes in terms of food. Largely, these potentially lost nutrients would be protein, calcium, vitamin D and vitamin b12 and iron. There are plenty of ways vegans can make substitutions for these and it’s all about a varied and smart diet of course! 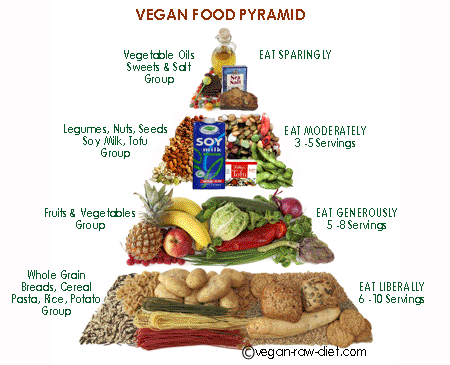 In learning of what makes up vegan diet, I found that it, of course, relied heavily on vegetables. To make up for the loss of what would have been protein, vegans should look to things like chickpeas, tofu, peas, peanut butter, almonds, rice, potatoes, broccoli, kale and more. As for calcium, vegans should turn to spinach, collard and turnip greens, broccoli and beans. While vitamin D can’t be made up in food without dairy products, some exposure to the sun daily can act as a healthy replacement. Vitamin b2 is found in animal products and soil, but can be gained from vitamin supplements if needed. Lastly, iron is found in dried beans and dark green leafy vegetables, but can also be gained from vitamin C too! As a vegetarian, I don’t know if I’ll ever be able to commit to being a vegan, but should I ever decide on it, I can be sure that there is a way to stay healthy and well. 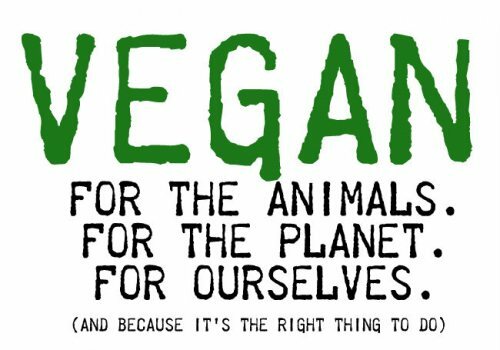 Although, this information may never put a end to the rift between vegans and those who eat meat when it comes to the arguments had around killing and consuming animals, it can stand against those claiming that it’s unhealthy to be vegan and that human absolutely need meat to live. Is Fracking Really Worth Our Environment? Last summer, I had the opportunity to take part in an internship at Eastern University. The internship was about studying watersheds and the organisms living in them. I was never really interested in nature or the environment, but I always knew how important it was to some extent, so I found the class to be important. Though I was quite squeamish, and we were studying in the middle of the woods, so many of our experiments and studies I was reluctant to take a huge part in. Still, I learned so much about how our environment works and to this day there is still one particular thing we learned about that continues to bother me. In certain areas around America, the attempts at providing this more environmentally friendly substitute to oil is unfortunately turning out to be more harmful as process than what the gas is worth. With the damage it does to the environment and to the quality of water. Hydraulic fracturing, or better known as “fracking”, is a process in which a well would be drilled into the ground and inject fluids at high pressure in order to fracture shale rocks to release natural gas that exists beneath earth’s surface. First a well is dug over a mile into the ground, going horizontal to breach and drill into the shale. 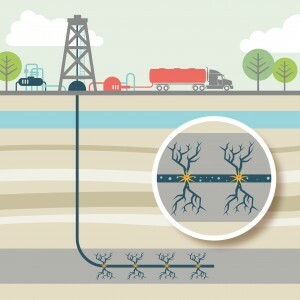 A mixture of water, sand, and various chemicals are then pumped into the well at high pressures to create crevices in the shale and allow the natural gas to be extracted. The gas is then drawn back up the well and processed. The procedure may produce a valuable natural gas, but that fact can only be over looked when considering the harm fracking does to the environment around it. In states like Pennsylvania, West Virginia, and Michigan there are already very much established fracking industries, but also statistics that show increases in death rates, dying animals, and even water contamination in these areas. The methods used in this process are dangerous to the environment, putting various parts of the nature, especially the water, at risk. However, as dangerous a procedure as it is, fracking operations are able to proceed without restraint. The EPA (Environmental Protection Agency) requires a permit for the injection of chemicals into the earth, but fracking is able to go unhindered as it is considered to be the extraction of natural gas instead of the introduction of hazardous fluids. Despite fracking involving the injection of hazardous chemicals into the earth in order to complete the process of extraction. This truth is often ignored when proponents of hydraulic fracking only insist upon the economic benefits from large amounts of previously unreachable natural gas. Yet, considering the blatant dangers fracking imposes on the environment, there is reason to be worried. After that class, and after doing my own research to really know what Fracking was, I honestly don’t think it’s a procedure we should engage in until it’s proven to be completely safe or another method, a better one, is implemented. This entry was posted in Uncategorized on October 14, 2014 by Kelli Nicole Ross. Have you ever looked at a series of holes and felt chills down your spine? Does the look of things clustered together bother you so much that you cringe and feel as though your skin is crawling? Are you bothered just reading this? There’s a name for that, it’s called Trypophobia, and it is literally the “fear of holes.” The site of holes and various naturally occurring things in nature can cause fear and anxiety in a trypophobe. SImply seeing images can cause the same reactions. 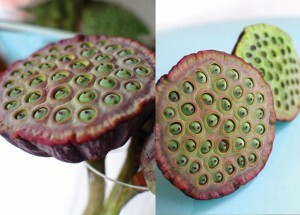 I had seen a picture of a lotus flower pod once and I have never been so disgusted by anything, so I looked up “Fear of holes” and Trypohpobia was exactly what I found. I have never heard of it a day in my life, but I asked a few people what they thought of it and got the same reactions. It was never a huge concern of the scientific world, but recently some scientist have been looking into the matter and more research can be found documented on the web as the phobia becomes more known. Although many have never heard it, there are plenty of people who suffer from this phobia. A study conducted by a psychological scientist named Geoff Cole referred to Trypophobia as the most common phobia you’ve likely never heard of, and that sounds about right to me. 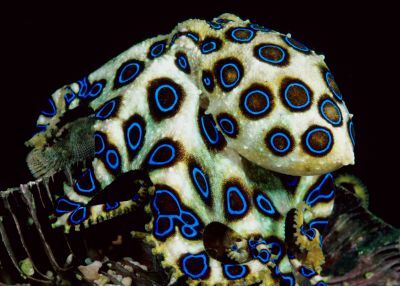 There is no clear cut reason out there as to why people have such reactions to to holes, but in Cole’s case, he met a man who had reported having a reactions to a picture of a Blue-Ringed Octopus (a high venomous animal). In showing the man more pictures of venomous animals, it was found that he had the same reactions! Cole came to the conclusion that maybe our fear of holes is simply due to evolutionary adaption, in which we fear the animals who look as if they are dangerous and pose a threat. In that case, the phobia makes total sense as a result of humans simply expressing a ￼natural reaction to things that could be dangerous. However, this explanation hasn’t been proven and there is still much research to be done to find a true answer. This entry was posted in Uncategorized on September 24, 2014 by Kelli Nicole Ross.